Zebra Fact Check: "Conversion therapy, Mike Pence and PolitiFact California"
Very shortly after publishing "Is PolitiFact California stupid: Mike Pence and the mythical denial of evolution," we ran across another nonsensical fact-checking attempt from PolitiFact California. I gave it fact check treatment at Zebra Fact Check. This time PolitiFact California looked at a statement from California Lt. Gov. Gavin Newsom. Newsom said Republican vice presidential candidate Mike Pence wanted to divert tax money to conversion therapy. PolitiFact said the claim was "True." • Congress should support the reauthorization of the Ryan White Care Act only after completion of an audit to ensure that federal dollars were no longer being given to organizations that celebrate and encourage the types of behaviors that facilitate the spreading of the HIV virus. Resources should be directed toward those institutions which provide assistance to those seeking to change their sexual behavior. Conversion therapy is a controversial practice that seeks to change a person’s sexual orientation from gay to straight. PolitiFact’s definition clarifies the key issue for this fact check: If “conversion therapy” seeks to change a person’s sexual orientation, does it count as “conversion therapy” to seek to change a person’s sexual behavior? It's worth noting that the Washington Examiner's Timothy P. Carney saw the problem before PolitiFact California published its fact check. Not that PolitiFact California would notice. In context, Pence was talking about government money distributed to organizations providing care for HIV+ persons. Pence's line about directing resources to organizations helping people who want to change their sexual behavior likely serves as a counterpoint to his preceding line: Pence was making a contrast to organizations that encourage risky sexual behavior. PolitiFact left out the context of the Ryan White Care Act. And PolitiFact took "sexual behavior" to mean "sexual orientation" without explanation. It's another fact-checking train-wreck for PolitiFact California. Visit Zebra Fact Check for more details. Note July 30, 2016: Since we published this post, PolitiFact has scrapped its original fact-check of Gov. Brown and published a heavily revised version giving Brown's claim about Mike Pence a "Half True" rating. We've appended an update to our original article in response and updated the link to the original story by linking to the Internet Archive version. PolitiFact California has ruled it "True" [original version at the Internet Archive] that Republican candidate for vice president Mike Pence denied evolution exists. But PolitiFact California provided absolutely no evidence that Pence ever made any such denial. You want to educate the American people about science and its relevance today. Do you believe in evolution, sir? I—do I believe in evolution? I embrace the view that God created the heavens and the earth and the seas and all that‘s in them. Right. But do you believe in evolution as the way he did it?? The means, Chris, that he used to do that, I can‘t say. Pence's answer to Matthews falls squarely squarely into the agnostic realm. Pence tells Matthews that he does not know whether (theistic) evolution explains creation. It's worth noting, however, that later in the interview Matthews charges that Pence believes in evolution but will not admit it for fear of offending his conservative constituency. Matthews knows something PolitiFact California does not? Stating one does not know whether God created the universe by evolution is not nearly the same thing as a denial that evolution exists. This is the fact of the matter: PolitiFact California nowhere provided any evidence to support Jerry Brown's charge that Pence denied evolution exists. Rating the claim "True" just makes PolitiFact California look stupid. And biased. Update July 29, 2016: Deleted a redundant word in the last paragraph. In the afternoon of July 29, 2016, PolitiFact archived its original "True" rating for Gov. Brown and published a new version of the fact check, this time giving Brown a "Half True" rating. The new version continues PolitiFact California's cutesy inclusion of irrelevancies like Pence's skepticism of climate change. Is PolitiFact hinting at a causal relationship between skepticism of climate change and denial of evolution? If not, we don't see the relevance. Our take? PolitiFact California half fixed the problem with its fact check. It's not reasonable to take the lack of any solid evidence of a denial and to then say that the claim of a denial is half true. The fact is that PolitiFact does not have evidence Pence even expressed skepticism of the existence of evolution. The worst that can be said of Pence on the issue of evolution is that his statement admits to doubt that evolution explains the origin and diversity of life on earth. But even evolutionists like Sir Francis Crick have expressed such doubts. Crick, in his book "Life Itself," proposed that life on earth was seeded from elsewhere in the universe. The problem for PolitiFact California stems from the many ways in which the word "evolution" is understood. Gov. Brown's phrasing hints that Pence rejected every facet of evolution up to and including descent with modification. Pence's answer to Matthews' questions appeared to use "evolution" in the broader sense of explaining the origin and diversity of life. The failure to strictly define the key term helps lead to a muddled and useless fact check. Pence’s comments could be interpreted as rejecting evolution, but there’s no hard evidence to back up that idea. Of course it's possible to interpret Pence's words as a denial of evolution: All it takes is a little fallacious thinking. PolitiFact dropping its ruling of Brown to "Half True" was a half measure. Hoystory: "Abetting Gavin Newsom's Big Lie"
Reformed journalist Matthew Hoy today delivered an exquisite knockout to PolitiFact California over its gun-related fact checking. California Lt. Governor Gavin Newsom and an associated gun-control advocacy group, Safety For All, claimed that gun dealers outnumber McDonald's in California. PolitiFact California rated that "True." Hoy covers the problems with that rating (which we also noted), and looks at how PolitiFact has since ignored Newsom's triumphant tweet saying that it's easier to buy a gun in California than it is to buy a Happy Meal. I wanted to see if Politifact would do anything about Newsom’s tweet. After all, it’s their reporting that’s being misused. And a week later? Nothing new from Politifact on the topic. I emailed the reporter on the original fact check and the editor Tuesday evening. As of press time I had not received a response to my query of whether they would be fact-checking Newsom’s tweet. Hoy's experience tracks with mine when I tried to get PolitiFact Missouri to fix a terminally flawed fact check. The fact checkers don't seem all that interested in the facts sometimes. It's good use of your time to visit Hoystory and read his whole post. Over the years we've built up quite a bit of evidence of PolitiFact's bias, based largely on PolitiFact's inconsistent application of standards. A PolitiFact fact check of Michelle Obama's speech to the Democratic National Convention supplies yet another strong example. One could easily read Obama's statement to mean that the White House was built exclusively with slave labor. That was not the case, as the text of the fact check concedes. Not telling a significant part of the story often leads to PolitiFact rating a true claim "Mostly True" or worse. Obama said the White House "was built by slaves." Strictly speaking, the White House was not exclusively built by slaves; it was built by a combination of slaves, free blacks and whites. But slaves were significantly involved in the construction of the White House, so we have no quarrel with the way Obama worded her claim. We rate it True. Obama's claim was imprecise and people might be misled by it. However, PolitiFact has no problem with the way she worded her claim. That's tossing principles on the scrap head, not that PolitiFact is consistent enough in applying its principles that they deserve the term "principles." Need a comparison? There are many. How about this one? PolitiFact has no problem with Obama's word choice. But Trump should have used different words to make his valid point. These two political figures are not being judged according to the same standard. Fact-checking. This is why so many cannot take PolitiFact's brand of fact-checking seriously. The great mystery is why the folks at PolitiFact think it is okay to check facts this way. If they know it is not okay and yet do it anyway, well, that puts the problem in a different light. We often hear the excuse from PolitiFact's defenders that PolitiFact always justifies its ratings. Trump said Chevrolet in Japan "does not exist." Strictly speaking, there are some Chevrolet vehicles in Japan though the number is relatively small compared to the more popular makes. Since the number of Chevrolets is so small we have no problem with the hyperbolic way Trump worded his claim. We rate it True. Always justifying the rating does not help if the justifications do not follow consistent principles. NTSH: Michelle Obama flip-flops on greatness? PolitiFact sometimes rates statements on a "Flip-O-Meter," indicating when a public figure has reversed positions on something. With the "Flip-O-Meter" in mind, we offer Michelle Obama's Democratic National Convention speech as a potential flip, fit to note for our Nothing To See Here feature. As a number of media outlets have noted, the First Lady said back in 2008 that she was proud of her country for the first time. Now, in 2016 she says "This right now is the greatest country on earth." Did something change other than Michelle Obama's mind? Did the Obama presidency propel the United States to new heights of greatness? We're certainly not the first to notice the discrepancy. We first saw it mentioned at Power Line blog. Tangentially related: A Zebra Fact Check of Will McAvoy's rant on American greatness from the television series "The Newsroom." Those who can be trusted in small things gain trust in handling larger things. Hit play, then resume reading. Mainstream journalists, including those at PolitiFact, often report things that are not true. While this statistic came amid a series of shots at President Barack Obama, the majority of the period Trump was referring to came under the presidency of George W. Bush, a Republican. Since Trump was taking "a series of shots" at Obama, PolitiFact adds in missing context that we will shortly address. But PolitiFact's statement is pretext and not fact. Again, I will tell you the plain facts that have been edited out of your nightly news and your morning newspaper: Nearly Four in 10 African-American children are living in poverty, while 58% of African American youth are not employed. 2 million more Latinos are in poverty today than when the President took his oath of office less than eight years ago. Another 14 million people have left the workforce entirely. Household incomes are down more than $4,000 since the year 2000. Our manufacturing trade deficit has reached an all-time high – nearly $800 billion in a single year. The budget is no better. President Obama has doubled our national debt to more than $19 trillion, and growing. Yet, what do we have to show for it? Our roads and bridges are falling apart, our airports are in Third World condition, and forty-three million Americans are on food stamps. Trump's treatment of the economy does occur after a series of paragraphs related to a rise in violent crime. Trump's first general topic was crime. The second was the economy, represented by the quotation above. After the economy Trump moves on to foreign policy, in which he spreads blame between Obama and Secretary of State Hillary Clinton. It does not make any sense to suppose Trump's statistic was intended to lay all the blame for the lower media wage on Obama. Most people realize that Obama was not in office until 2009, years after the year Trump used as the median income baseline. During the first eight years of the span Trump referred to -- 2000 to 2008 -- Bush was president. And during Bush’s tenure, inflation-adjusted median household income declined by $2,411, which is more than half the total amount it fell between 2000 and 2014. Since Obama took office, it has fallen by $1,656. That’s not a great legacy, but it’s worth remembering that slicing the numbers this way puts all of the Great Recession on Obama’s watch while also denying Obama 2015, when there was a slow but steady recovery, because data is not available. So it's Bush's fault, and that dastardly Trump is denying Obama a year for which data is not available. PolitiFact often makes its own judgments based simply on available data. But if PolitiFact thinks Trump is doing what PolitiFact does, then Trump is doing something wrong. Apropos of that, the Washington Post Fact Checker rated Trump more harshly on this same claim, saying the latest data showed median household income has almost returned to the levels from 2000. But what Trump does wrong is okay when PolitiFact does it. We would draw attention to two main aspects of PolitiFact's fact check of Trump. First, PolitiFact's defense of Obama in the midst of a Trump fact check was rationalized. It wasn't really needed, since Trump himself excused Obama from full blame by using the year 2000 as a baseline. Everybody understands from that context that Obama is not responsible for everything that happened to median income since the year 2000. Second, PolitiFact engaged in the same type of misdirection it blamed on Trump. PolitiFact wrongly says Obama gets all the blame for the Great Recession while blithely saying, and we quote, that "during Bush's tenure, inflation-adjusted median household income declined by $2,411, which is more than half the total amount it fell between 2000 and 2014." Here's the story that PolitiFact failed to tell, even though it was illustrated by the Federal Reserve chart embedded in its own story: Bush inherited a declining economy from President Bill Clinton. So Bush was dealing with a recession at the start of his tenure as president. Under Bush, inflation-adjusted income had recovered nearly to 2000 levels by 2007, before the Great Recession hit. So the drop in median income PolitiFact lays on Bush was overwhelmingly tied to the Great Recession. Some type of averaging would provide a more reliable picture of trends under Bush and Obama than the one PolitiFact painted. So PolitiFact made up the notion that Trump was pinning the drop in median household income on Obama to justify its own misleading editorial opposing Bush-era economic policy (and defending Obama-era policy). "Fact-checking." Sweet. Restart the music video if desired. Correction July 28, 2016: Performed a grammar fix on the WaPo hyperlinked sentence, eliminating "harsher" with a restructure of the sentence. We've dedicated two items to PolitiFact's "Half True" gift to Democratic presidential nominee Hillary Clinton on her claim she never sent or received classified information via her primate email account. First we argued that PolitiFact's defense of its "Half True" rating made no sense following FBI Director James Comey's statement on July 5. PolitiFact, whether influenced by our post or not, apparently agreed and reversed itself the next day while erasing nearly all the evidence of its embarrassing decision from the day before. We, namely Jeff D, responded to PolitiFact's reversal by documenting the evidence that PolitiFact had continued its habit of changing stories without posting correction notices. We have addressed what happened. Now we will consider why it happened. Applying that policy as PolitiFact did as described above could justify avoiding any number of corrections. Did an article misuse a word? Sure, but we're not going to correct it because we did not know any better at the time. Yes, it's silly. But it beyond likely that a group of PolitiFact's editors agreed, at least for a time, that it was the right thing to do for this Clinton fact check. PolitiFact reversed itself pretty quickly. But what kind of impetus could reverse the considered wisdom of PolitiFact's elite editorial group? This option seems the most likely. But PolitiFact's lack of transparency about its reversal leaves us in the dark as to whether anybody inside the organization was independent enough to rock the boat. Alternatively, the editors at PolitiFact may have felt distress that they were out of step with the Washington Post Fact Checker. The Post promptly changed its rating of Clinton's email claim from two Pinocchios to four. Despite their claims of independence, the mainstream fact checkers can't avoid seeing each others' work and doubtless feel pressure to make similar findings of fact. PolitiFact changed because of our criticisms? We condemned PolitiFact's reasoning and explained what was wrong with it before PolitiFact executed its reversal. However, it's not typical for PolitiFact to agree with and act on our criticisms. PolitiFact horribly embarrassed itself with the 2014 "Lie of the Year." President Obama's promise that people could keep their insurance plans under his health care reform bill took the award, or at least PolitiFact tried to make it look that way, despite the fact that PolitiFact never rated the claim worse than "Half True." Clinton's email fib easily qualifies as the early leader in the "Lie of the Year" sweepstakes. It's high-profile. It was deeply investigated by the FBI. It carries yuge implications for the 2016 election. Did PolitiFact belatedly realize that it might have another Democratic claim rated "Half True" winning the Lie of the Year award? Two words: bad optics. We don't know for sure why PolitiFact acted the way it did. We can only offer some possibilities. But one thing is certain. PolitiFact has not acted like a fact checker in this. It has acted like it loves its own reputation better than it loves the truth. We carry little respect for PolitiFact in part because PolitiFact falls into bias traps that professional journalists ought to easily avoid. One classic example of that genre comes from PolitiFact's treatment of illustrated numbers comparisons. It makes sense to PolitiFact to compare the frequency of voter fraud to shark attack. But comparing the frequency of gun crimes by concealed-carry permit holders to the frequency of alligator attacks doesn't make sense because gun crimes and alligator attacks are so different from each other. Predictably, PolitiFact's treatment of the former case proved a benefit to liberalism. PolitiFact's treatment of the latter case unfairly harmed conservatism. On July 19, 2016, PolitiFact California approved the comparison of the number of licensed gun dealers to the number of McDonald's restaurants. Of course the fact check contains no discussion at all whether McDonald's restaurants are similar enough to gun dealers to justify the comparison. And we're okay with that, aside from the inconsistency it shows from PolitiFact, because sometimes a numbers comparison is just that. One may compare the number of ants at a picnic to the number of stars in the galaxy without needing to show another similarity between ants and stars. PolitiFact California went the extra mile for liberalism on this fact check, however. PolitiFact Georgia rated a similar claim in 2013 as Mostly True. A civil rights activist said: "There are twice as many gun shops as McDonald’s in the United States." Our California claim deals with licenses in this state only, and not necessarily brick-and-mortar gun shops. Above, PolitiFact California starts to make a mockery of PolitiFact's principled assurance that "words matter." The ATF keeps a monthly log on its website of how many dealers and pawnbrokers are licensed to sell guns in each state. This month’s tally shows 2,315 dealers and pawnbrokers licensed to sell guns in California. That’s a shade less, 15 in fact, than twice as many McDonald’s. PolitiFact's fact-finding found the claim from the gun control group "Safety For All" was not quite true using those numbers. So Safety for All pointed out that adding in the number of licenses not necessarily connected to a gun seller would provide the numbers needed to make the claim true. PolitiFact California was fine with that approach and rated the claim "True." The problem? That approach fails to jibe with the spirit of the comparison. Safety For All was trying to emphasize that licensed vendors from whom one might buy a gun more than double the number of McDonald's restaurants. Would the comparison work if half the licensed gun dealers did not sell guns? Of course not. Having a license to sell a gun does not necessarily make one a "gun seller" in the sense implied by the Safety For All claim. It is not appropriate to shoehorn in persons licensed to sell guns who do not ordinarily act as gun sellers. One could go further and nitpick the comparison to death (example here). We will stick with the point that a competent and neutral fact-checker does not illegitimately maximize a number to the benefit a political point of view. We expect that type of behavior from biased fact checkers. We don't have quite enough brave antagonistic souls to have a Criticism of the Week, so we're settling on a "When Critics Axe" for occasions where we find a critic grinding an axe against us. Supposedly the first article on our site at the time said PolitiFact was wrong because it only used the available data to make its ruling. Sounds like our critic made a snap judgment. Our article, about Clinton's defense of the "Half True" rating it at the time gave Clinton over her claims about never sending or receiving information marked as classified, actually just pointed out that PolitiFact's defense was nonsense. We explained how using the information available at the time makes sense where the facts can change with time, as with changes in poll data. But the same justification doesn't work when it's a matter of the fact-checker not having the information at the time. If Clinton was the one sending and receiving her emails, then she had the information available at the time she made the claim, even if PolitiFact was left in the dark. PolitiFact came around to our way of thinking in a matter of hours, quietly dropping its defense of the "Half True" rating and changing the rating to "False." So if we're wrong on that point, so is PolitiFact. But we're not wrong. PolitiFact's recent treatment of the Hillary Clinton email scandal has been busy and bizarre. PolitiFact issued a "Half True" rating on a Clinton claim, the FBI director poked holes in PolitiFact's story, PolitiFact stood by its "Half True" rating, then hours later reversed itself and issued a new fact check calling Clinton's claim false. -July 3: A fact check by PolitiFact writer Lauren Carroll rates Clinton's claim that she "never received nor sent any material that was marked classified" on her private email server Half True (original version at the Internet Archive). -July 5: FBI Director James Comey issues a statement effectively refuting Clinton's claims and exposing her outright falsehoods regarding the email scandal. -July 5: After Comey's statement, PolitiFact publishes an update by Carroll laying out Comey's evidence and explaining how it undermines Clinton's claims. Despite this, Carroll says there will be no changes and affirms the original "Half True" rating. -July 6: PolitiFact and Carroll publish an entirely new fact check on the same claim, this time rating Clinton False. PolitiFact archives a version of the "Half True" fact check. Carroll's conclusion ignores Catherine Herridge's report last month that Clinton did in fact send an email marked classified. Carroll also fails to enlighten readers by explaining whether Clinton's emails were marked classified is moot to the overall implications of the scandal. Apparently for PolitiFact, it's not misleading to intentionally remove classified markings and then say you didn't receive anything marked classified as a defense. After FBI Director James Comey's "wowza" revelations, Carroll writes an update covering Comey's press conference. Like Comey, PolitiFact acknowledges Clinton's deceit. Also like Comey, PolitiFact declines to do anything about it. In light of all the evidence, PolitiFact insists Clinton's claim would remain rated "Half True." Again, the evidence available at the time indicated Clinton was lying. But even if we assume Comey released some new bombshell evidence, PolitiFact's excuse doesn't make sense. I pointed out on Twitter that PolitiFact's explanation seems to be that since PolitiFact didn't know Hillary Clinton was lying when she lied, she's telling the truth. Clinton lied, and after Comey's statement even PolitiFact was forced to acknowledge that Clinton's claim was false, but since PolitiFact didn't have the evidence that Clinton was lying on July 3, it's a "fact" that Clinton's claim was half true. Or something. Clinton...had the very best position available to know whether she sent or received emails marked as classified. She had every reason to know the truth back in 2009-2013 as she served as secretary of state...Apparently the only reason PolitiFact gave Clinton credit for a half-truth is because Clinton lied. Carroll's justification for keeping the rating "Half True" shows just how far PolitiFact will go to avoid giving Clinton an unfavorable rating. For PolitiFact, even acknowledging Clinton lied wasn't enough to give her a "False" rating. The day after Comey's damaging press conference, PolitiFact scrubs its original "Half True" fact check from its website, and publishes an entirely new fact check on the exact same claim, this time rating it "False." PolitiFact's justification for the new rating is at odds with its July 5 update. Note that "the evidence FBI director James Comey presented" was cited by PolitiFact when they refused to change the Half True rating the day before! Now PolitiFact says it is the sole reason for issuing a "False" rating. Which is it? That same evidence "was available to Clinton through her own emails" when PolitiFact rated it "Half True" in the first place. The evidence has been available to Clinton the entire time she's been telling the lie. We asked Lauren Carroll to explain the discrepancy on Twitter but she ignored us, as usual. How can PolitiFact reconcile the new False fact check with Carroll's update refusing to change the "Half True" rating from the day before? The link to Carroll's original July 3rd Half True rating goes here. 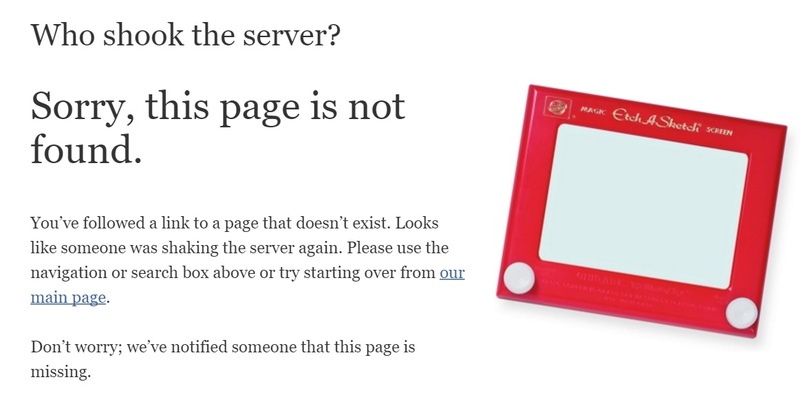 If you click through, you'll see the story has been replaced by PolitiFact's default Sorry, this page is not found Etch-a-Sketch gag PolitiFact uses when it deletes a story. 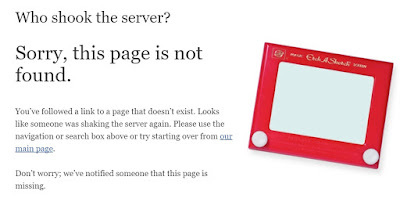 Not only is this error page partisan snark directed at Mitt Romney, it also facetiously implies a technical problem as opposed to PolitiFact intentionally deleting an article from the web. It seems that the way to reconcile PolitiFact's "False" rating with Carroll's update affirming the "Half True" rating is to simply delete it from the Web and hope nobody notices. There is no editor's note acknowledging the change. There is no update, no notice, no explanation indicating a change has been made. This is a stealth edit. It deceives their readers. It's unethical journalism. And PolitiFact does it all the time. Think Carroll and her editors accidentally forgot to add a note indicating a change? What about the time a disingenuous liberal talking point about the Hobby Lobby decision was scrubbed out of a fact check without notice? Is it possible the above stealth edit was the result of a misguided intern? The story was written by PolitiFact Deputy Editor Louis Jacobson, and edited by Senior Editor Angie Holan. Those are the two senior most writers at PolitiFact. Holan and Jacobson are the most influential at PolitiFact and one would think should know better. We asked Jacobson about PolitiFact's policy on stealth edits, and also brought this edit to his attention without ever getting a response. A key figure in the story changed from $7.5 billion to $1.7 billion. Koster's exaggeration, by percentage, went from 20 percent to 429 percent. The new version of the story carries no correction notice, and the rating remains "Mostly True." The reality is that PolitiFact routinely uses deceptive and opaque editing techniques to alter their stories after they've been published. So much so that we created a search tag for it: Now you see it - Now you Don't. Much of PolitiFact's inconsistency and faulty reasoning can be attributed to their political bias or incompetence. But PolitiFact's routine use of stealth edits is inexcusable and unethical. Any reputable journalist should be embarrassed by such shenanigans, but PolitiFact has a long history of using them while also refusing to own up when they're caught red-handed. PolitiFact embodies the disingenuousness they make their living accusing others of having. PolitiFact engages in the same type of deceptions it claims to expose. PolitiFact is a dishonest and untrustworthy actor in the world of journalism. Their work should be recognized as the partisan hackery it is and disavowed as a reputable source. (1) It's possible there's a procedural argument to be made that, as the result of an executive order, Clinton had the authority to declassify information in very specific and narrow circumstances (including in the above mentioned case.) In any event, Clinton's defense that an email was not marked classified when she was the one directing it's declassification for the express purpose of sending it over nonsecure methods is grossly misleading. PolitiFact Illinois: a different animal? Today PolitiFact announced a new state affiliate, PolitiFact Illinois. This expansion move breaks new ground, for PolitiFact Illinois represents a partnership with a not-for-profit organization, "Reboot Illinois." PolitiFact has in the past affiliated with newspapers, radio stations, and university journalism programs. It also lists a partnership with NBC. Here at PolitiFact Bias, we could hardly be more aware that the "nonpartisan" label means virtually nothing by itself. PolitiFact itself serves as ample proof of that. Naturally, we were curious about Reboot Illinois as a result. Reboot Illinois is funded by Chicago hedge fund manager Anne Dias Griffin and industrialists Lester and Jim Crown. Griffin's Federal Elections Commission history shows plenty of political giving to both Democrats and Republicans. Lester Crown's FEC history shows him giving to Democrats and Republicans, with most of the support going to Democrats. Jim Crown's extensive political giving overwhelmingly went to Democrats. The funding, then, is superficially bipartisan. But even if the funding were all from George Soros or Charles Koch, it would not necessarily mean Reboot Illinois leans one way or the other. Reboot Illinois determines that by the way it acts. We'll be interested to see if PolitiFact Illinois is a different sort of animal from the existing PolitiFact franchises. With some difficulty, I separated my criticism of PolitiFact Illinois' self-announcement from the rest of the post. Illinois never has been more polarized. Our nation never more divided. As badly as the United States was divided by the Civil War, today it is more divided still. Thanks, PolitiFact Illinois. We look forward to more. FBI Director James Comey's announcement on July 5, 2016 made clear that former secretary of state Hillary Clinton gave false reports of her handling of top secret and sensitive emails. That created a problem for PolitiFact. PolitiFact had rated "Half True" Clinton's claim that she neither sent or received email marked as classified--at least not marked that way when it was sent. And PolitiFact just issued that rating on July 3, 2016 (Update July 7, 2016: PolitiFact has deleted the original story from its site, so find the archived version here). Time for some steam-shoveled CYABS, courtesy of PolitiFact. Since we're talking about PolitiFact, "clearly undercuts" means if PolitiFact knew three days earlier what we all know now, Clinton would have received a mere "Mostly False" rating. Let's expose the BS for what it is. Timing – Our rulings are based on when a statement was made and on the information available at that time. We imagine the justification may appear legitimate to some. It is not legitimate. It's reasonable to base a ruling on information available at the time when somebody makes a claim like Ann Hathaway affirming "the majority of Americans now support gay marriage." Obviously a fact checker can't judge the truth of that statement based on a poll published after the claim was made. Or on a poll where the findings were within the margin of error. Well, PolitiFact did both, but our readers get the point: How could Ann Hathaway justify her claim ahead of the poll, assuming its results were outside the margin of error? If it takes two years after her statement for the majority to occur, should we expect fact-checkers to make corrections at that late date? No. That would be silly. And it's almost as silly three days later. The case with Clinton is far different. Hathaway could not have a justified belief that a majority favored gay marriage back on March 15, 2011. PolitiFact could have justified calling Hathaway's claim false (it received a "Mostly True" rating). Clinton, in contrast, had the very best position available to know whether she sent or received emails marked as classified. She had every reason to know the truth back in 2009-2013 as she served as secretary of state. "I never received nor sent any material that was marked classified," Clinton said July 2, after Clinton was interviewed by the FBI as part of its investigation. "And there is a process for the review of material before it is released to the public, and there were decisions made that material should be classified. I do call that retroactively classifying." Clinton’s statements like this left open the question of whether she sent or received classified information that was inappropriately left unlabeled — or that Clinton, as head of the department, failed to recognize and deal with information that should have been classified. Because of that obfuscation, we rated her claim Half True. See, the evidence said Clinton's claim was false, but Clinton insisted it was true, obfuscating the facts. So PolitiFact had to give Clinton a "Half True" because of the obfuscation. Burden of proof – People who make factual claims are accountable for their words and should be able to provide evidence to back them up. We will try to verify their statements, but we believe the burden of proof is on the person making the statement. How does that principle work in practice? Ask Senator Harry Reid (D-Nev.). Reid, while serving as Senate Majority Leader, accused 2012 Republican presidential candidate Mitt Romney of not paying any taxes. PolitiFact found no evidence to support Reid's claim and so rated it "Pants on Fire." PolitiFact did not have access to Romney's tax returns showing that Reid was wrong. Rather, PolitiFact used the opinions of tax experts to decide the question. Don't ask us why Reid's insistence he was right failed to net him a "Half True." Sometimes PolitiFact is so unfair. The burden of proof principle should have applied in Clinton's case. Was there evidence supporting Clinton's claim? The only way to know was to have access to Clinton's emails. But Clinton made sure that happened only in part. PolitiFact ended up having to take Clinton at her word to give her that "Half True" rating. In conclusion, don't buy PolitiFact's BS that it's basing the enduring "Half True" for Clinton on some type of real principle. Even if the wording of the principles doesn't change, the principles change in meaning to fit the need of the moment. It's the type of thing that gives fact-checking, and PolitiFact, a bad name. Updated this item July 6, 2016 with some grammar and formatting tweaks. The Volokh Conspiracy: "Fact-checking PolitiFact’s fact-check of Trump’s ‘crime is rising’ claim"
Eugene Volokh of the Washington Post blog "the Volokh Conspiracy" yesterday eruditely skewered PolitiFact's June 2016 "Pants on Fire" rating of Donald Trump's "crime is rising" claim. (W)hile the preliminary data shows spikes in crime rates in some cities, Trump’s statement was broad, without qualifiers, and it came amid comments that painted an overarching image of a nation in decline. Trump didn’t say that crime was rising "recently" or "in recent months" or "over the past year" or "in some places." Ultimately, we find that Trump’s sweeping rhetoric about a nation in decline and beset by crime ignores the overall trend of violent and property crime rates over the past 25 years, which is that they have fallen, consistently and significantly. We stand by our rating of Pants on Fire. I don’t find this a persuasive defense. If the original PolitiFact post had said something like, “The violent crime rate has plummeted in the past 25 years, and while it may have been increasing in the last year and a quarter, that could easily be an anomaly, and our data on that are just preliminary and may not be sound,” I would have thought it a sensible criticism of Trump’s assertion. Indeed! While it criticizes Trump for his "sweeping" statement, PolitiFact makes a similarly "sweeping" statement with its "Pants on Fire" rating. "Pants on Fire" is below "False" which is in turn below "Mostly False." Note how PolitiFact defines "Mostly False": "MOSTLY FALSE – The statement contains an element of truth but ignores critical facts that would give a different impression." PolitiFact appears to admit Trump's statement contains an element of truth but avoids the implications by insisting on its own interpretation of Trump's statement. As we've written repeatedly, fact-checkers should bind themselves to the principle of charitable interpretation. PolitiFact does not apply this principle consistently. This is not, I think, how fact-checkers should operate (and I say this as someone who is not a Trump supporter). And though today’s update at least mentions the “preliminary figures for 2015 that show crime rising,” it doesn’t acknowledge what strikes me as the quite misleading analysis in the original post. We recommend reading through all of Volokh's commentary. Note: Updated shortly after publication with tags and a hotlink to the PolitiFact fact check.